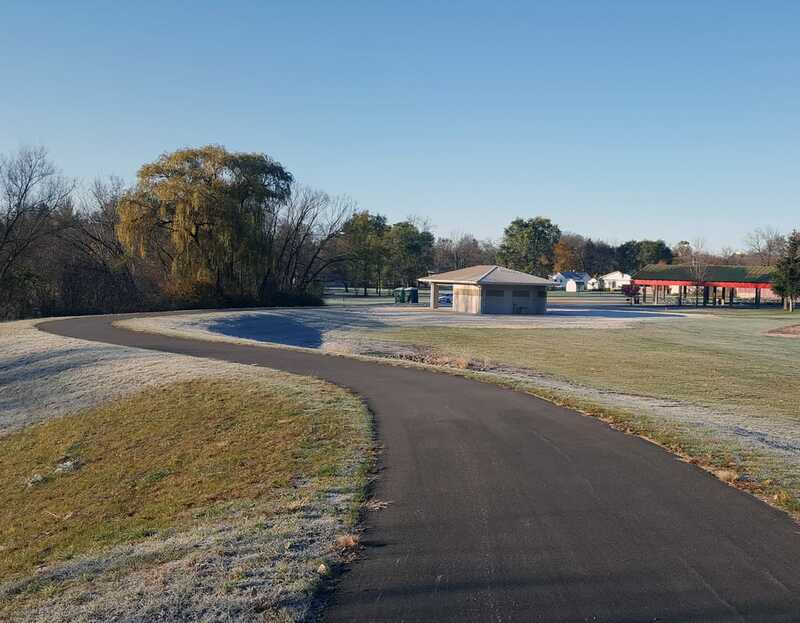 Chastain provided grant writing, Phase II design and Phase III construction engineering services for the development of a new 10 foot wide HMA multi-use path and restroom shelter facility for the park district. The path begins at the existing shelter and extends e4ast to connect to the Pecatonica Prairie Path. The Pecatonica Prairie Path is atop an existing railroad bed and is elevated approximately 15 feet above the park. The new restroom facility is constructed of block with a split face facade and a metal roof. The facility has restrooms with two stalls in each room. Both the new path and the facility meet ADA codes and regulations. The project was funded in part with an ITEP grant. Design services included the completion of a Project Report, Environmental Survey Request (ESR), final engineering plans, specifications, and cost estimates. Construction observation services included full-time observation, documentation, quantities, pay estimates, and project close-out. Project was completed in 2016 with an estimated construction cost of $246,878.